At Signature Smiles, we take pride in giving our patients the information that they need to keep their smiles strong and beautiful. 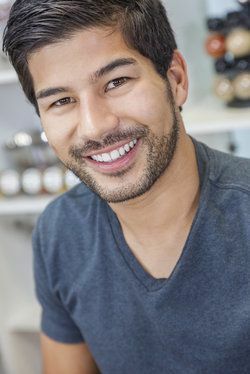 At our Woodinville practice, we believe in offering the latest restorative dentistry treatments to enhance your dental health, but we also provide some tips on preventative care that can make a major difference. We'd like to take this opportunity to consider the nature of root canal infections and what you can do to keep them from happening. To answer this question, it's important to consider the anatomy of the teeth. Within each tooth, there is a hollow chamber that contains a substance known as dental pulp. This dental pulp is made up of connective tissue, blood vessels, and nerves that lead into the root of the tooth. The soft tissue was essential for the development and maturation of the tooth when a person was young. A root canal infection refers to oral bacteria breaching the enamel and dentin layers of tooth structure and infecting this soft tissue in the center of the tooth. This can occur due to tooth injury or as a result of major tooth decay. Root canal infections can cause serious pain and discomfort. Left untreated, a root canal infection can spread into the jawbone, gums, and adjacent teeth, resulting in serious dental health problems that affect general wellness. In order to save the tooth and prevent further dental health problems, a root canal treatment (endodontic therapy) is required, which involves the removal of the diseased dental pulp and the filling of the tooth with an inert material. The following tips below will help you prevent root canal infections and the need for endodontic treatment. The basics are often ideal for maintaining your dental health. This means brushing your teeth at least twice a day and flossing at least once a night. For the best possible dental health, it's a good idea to brush and floss after every meal. Mouth protection during contact sports or combat sports will keep you from biting your tongue and breaking your teeth, and it can also ensure that you do not expose the internal structures of your teeth to bacteria. Custom mouth guards are ideal for the ultimate in comfort and protection. Chewing on pen caps, straws, and your fingernails isn't just socially unacceptable, it can lead to tooth damage over time, such as chips and cracks. This kind of damage increases the chances of a root canal infection occurring, so be sure to show tact and break these bad habits. Sometimes you can sustain serious tooth injuries just from eating. When having popcorn, for instance, an unpopped kernel can cause major damage. Be sure to eat slowly and deliberately. Simply by slowing down, you can avoid some preventable tooth damage. Visiting your dentist regularly allows minor problems to get treated before they become major ones. If you get cavities filled as soon as possible, this reduces the chances of root canal infections occurring. For more information about preventing serious dental problems and having a smile that looks its absolute best, be sure to contact our advanced family dental care center today. The entire team here at Signature Smiles looks forward to your visit and helping you achieve the healthiest smile possible.